Myth : Dying and Death are Always Sad Experiences. There’s one particular example that I want to focus on today. It’s weird how you can be talking about a situation in a general context and then have a specific situation come into your awareness. And this is exactly what happened. There has been an obituary that has gone viral in the last few days because of how scathing and brutal it is. Clearly, for that family, this death was not a sad experience. 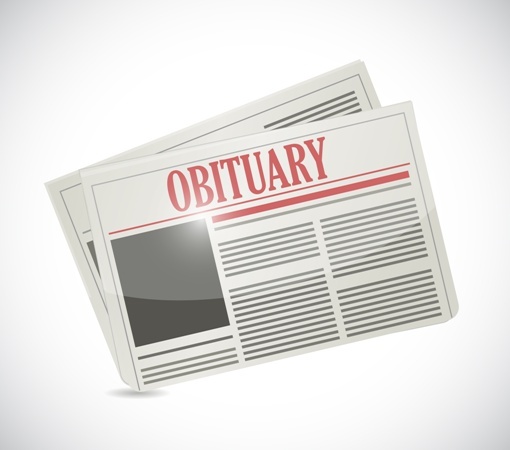 There has been a massive reaction to this obituary, with reports that the website of the funeral crashed because so many people were wanting to read it. The reactions have been split, as you would expect, between those who applaud the family for their honesty and hope they now have some peace and those outraged that they could speak of the dead in such a way. As I said above, clearly, this death was not sad for this family. And that’s probably the sad bit in this experience. Wow Sharon! I’ve often wondered what a truthful obituary or eulogy would look like. I worked for the Sydney Morning Herald for many years. Most of the death notices were very stock standard. I wonder what a page of honest notices would look like! Either way, I love how you are working towards changing how death is viewed in our culture. It should really be a fulfilling and cathartic experience. I respect her honesty. She’s just saying how it is and… it is what it is. Something that has always made me curious and confused is when people start talking highly of somebody who doesn’t deserve to be spoken about that way, just because they died. It’s not authentic. It’s as if it’s an obligation. I respect that this lady dropped the shackles of obligation and showed her authenticity. And yes, how can people judge her when they haven’t lived her life. It’s none of their business.